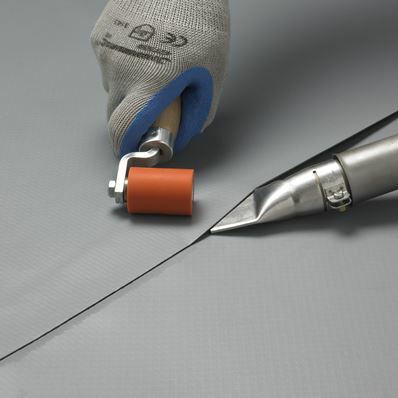 Single Ply Membranes: Does thickness matter? Home Blog Single Ply Membranes: Does thickness matter? 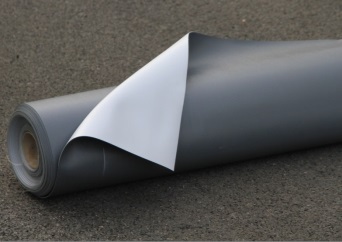 The use of 1.8mm + thick PVC membranes is normally a requirement on extended 20 and 25 year guarantees. The theory behind is that it should last longer as it has a larger volume of plasticiser and more robust due to its additional thickness. Whilst I would not disagree with this theory, I would point out that there are various qualities of plasticisers available on the market. If a 1.8mm membrane has a low quality plasticiser, then it will not necessarily last as long as a 1.2mm membrane using a high quality plasticiser. PVC membranes are generally considered to be flexible and this is especially true of 1.2mm or 1.5mm thick membranes. However PVC membranes which are 1.8mm + thick are not as flexible and can be troublesome when detailing especially at cross joints where you get a multiple build-up of layers. Most manufacturers’ testing and data is based on 1.2mm or 1.5mm membranes with no actual published documentation or testing stating that a 1.8mm PVC membrane will have a longer life expectancy. I would agree that a 1.8mm membrane will be more robust against damage but the majority of damage occurs during the installation phase and caused by following trades. Damage is normally identified quickly and repaired accordingly and is not the most common cause of water ingress further down the line. If you look at standard PVC membrane formulations across the industry the top layer of membrane will contain a larger amount of UV stabiliser and fire retardant compared to the bottom layer. The bottom is generally a different colour to the top layer for identification purposes as a different formulation has been used and the membrane must not be installed upside down. A 1.8mm membrane may be more robust and not completely puncture when damaged but once the top layer is broken, the lower layers are then exposed to UV which in time will break down the membrane if the damage is not repaired. IKO Armourplan P Single Ply Membrane has been specifically developed for the extended guarantee market. IKO Polymeric developed a membrane for the UK market that had a high performance reinforcement to withstand high tensile forces and equal amounts of UV stabilisers and fire retardant in both the top and bottom layers of the membrane. Surface damage should always be repaired but if it is accidentally overlooked, IKO Armourplan P is less susceptible to UV degradation when the surface is damaged compared to other manufacturer’s membranes. IKO Armourplan P membrane can be installed either way up. With this specific formulation IKO Polymeric is also able to keep the membrane thickness to the standard 1.2mm thickness ensuring ease of installation and importantly a minimal thickness build-up at cross joints compared to a 1.8mm membrane resulting in reduced risk of workmanship errors. From my experience one of the most common causes of water-ingress issues can be contributed to a weak point at the cross joint junction. This can occur with 1.2mm and 1.5mm membranes but is one of the main culprits when using a 1.8mm + thick membrane. 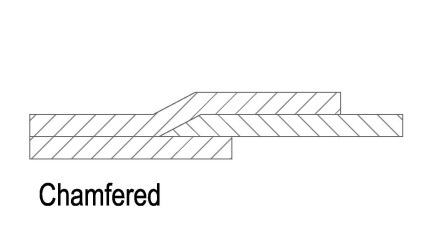 The cross joints on thicker 1.8mm membranes are chamfered using a chamfer tool which requires regular sharpening or it is eventually rendered useless. On larger projects the chamfering process is carried out robustly to start with but as the roof progresses the chamfering element tends to be neglected. An inadequate execution of a cross joint usually show itself after the installation and in areas that the water may pond temporarily or if the cross joint is detailed against the flow of water. They are not always picked up when probed and are usually only made visible by the remnants of damp silt at the cross joint opening. The only belt and braces way to repair the cross joint is to install an additional patch on top of the cross joint. At IKO Polymeric we have always thought that it made sense on extended guarantees to have a 1.2mm thick membrane which would be less susceptible to detailing issues compared to a 1.8mm thick membrane but had the same performance pedigree as the thicker PVC membranes on the market.